All you need is love - well, and this scarf actually! 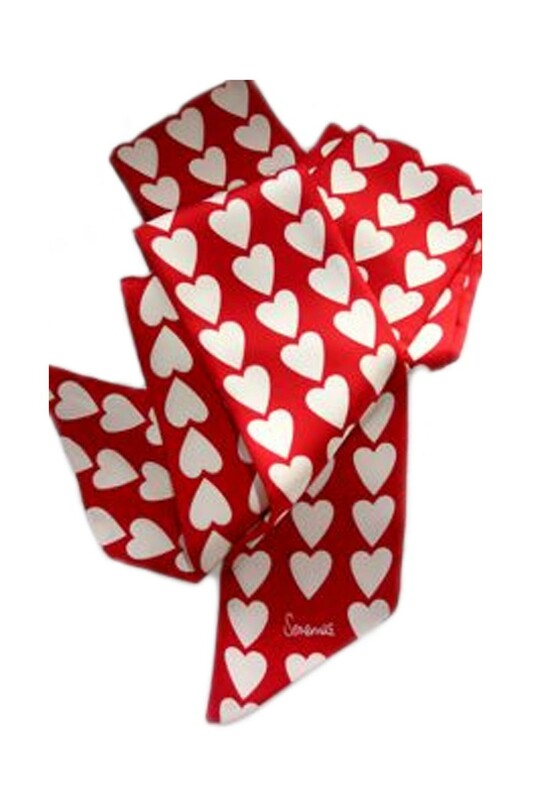 This skinny silk scarf with heart print is the perfect way to liven up your outfit this season. Kooky in its design but luxurious in quality and feel we have been wearing ours in a loose wrap with a leather jacket and skinnies but think it would look just as fabulous worn loose inside a blazer. Why not give it as a gift for your loved one! Available in navy, red and grey. 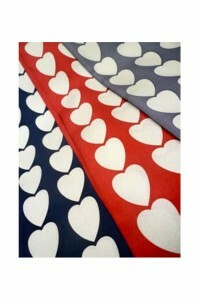 This is a long skinny silk scarf with white repeated heart print. 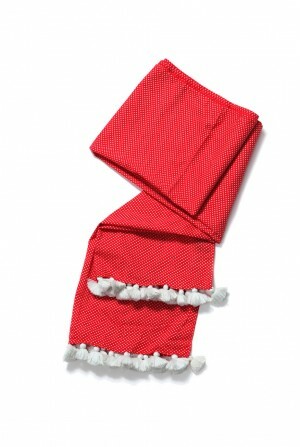 The scarf is available in navy, red or grey. 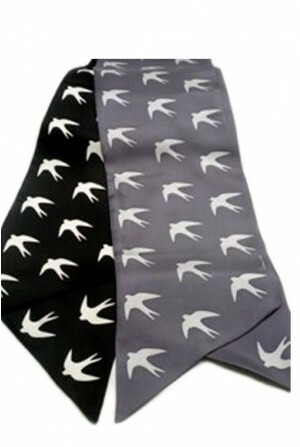 This retro style scarf is made from silk and is therefore dry clean only.